HUGE DEALS On The 2019 RAM 1500 In NC! There’s no doubt about it – trucks are the versatile rides of the road. Providing different cab options, numerous trim levels, and a variety of features, drivers can truly customize their ride. This is definitely the case when it comes to the 2019 RAM 1500. This popular truck not only gives you the hauling capability and cargo space you need, it also provides a comfortable cabin filled with plenty of technology features. Whether you’re driving around the state of North Carolina or across the country, you and your passengers are certain to stay engaged and connected with the variety of tech features! At Doug Henry Chrysler Dodge Jeep RAM, our goal is to help you find your dream ride! To learn more about the 2019 RAM 1500, take a closer look below! First of all, there’s a 3.6-liter V6 engine that produces 305 hp and 269 lb-ft of torque. This engine is standard for all trims. There’s also an optional 5.7-liter V8 engine that delivers 395 hp and 410 lb-ft of torque. Each engine comes paired to an eight-speed automatic transmission. They are rear-wheel drive and have a 3.21 axle ratio. However, four-wheel drive is also an option. The 5.7-liter engine and four-wheel drive isn’t eligible to be equipped to the HFE trim. 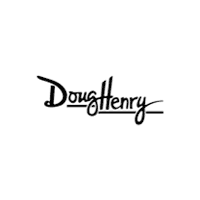 When you choose Doug Henry Chrysler Dodge Jeep RAM, we’ll help you find your dream truck! That’s right – we pride ourselves on our customer service and want you to be happy every step of the way. We know that the car-buying process can sometimes be stressful. With us, you never have to worry. We provide a stress-free and hassle-free environment for shoppers. You’ll find our dealership conveniently located at 4051 W Vernon Ave, Kinston, NC 28504, which means residents of Deep Run, Mt Olive, and Grifton are just a short drive away. Once you arrive, we’ll show you around and fill you in on our special offers. Come see us soon! *Bluetooth® word mark and logos are registered trademarks owned by Bluetooth SIG, Inc. and any use of such marks by RAM is under license. A compatible Bluetooth®-enabled phone must first be paired. Phone performance depends on software, coverage and carrier.